Are you looking to add a furry family member to your brood? Big dogs may not suit you. You may want one that can sit on your lap. These little fellows have big personalities to make up for their lack of size. They are blessings, but their care is not a straightforward process. Lovable as they are, these creatures may have an aggressive temperament that you must learn to manage. Also, they are prone to health conditions, just as humans are. If you want to welcome a small dog into your apartment, here are 50 breeds you may want to bear in mind. You may feel that small dogs need less attention than big ones, but this is far from the truth. Some breeds have aggressive temperaments that you have to manage carefully. Besides this, they are prone to certain health conditions. In many circumstances, you will not find a large Labrador taking charge of a pack. Often, it is a little terrier barking orders. Many small dogs suffer from the ” Napoleon Complex, ” named after the famed, diminutive Corsican general of the 19th century. Like some smaller built individuals, little dogs compensate for their lack of size by being domineering. Further, small dogs are prone to various health conditions that require veterinary attention. Some breeds tend to develop Patellar Luxation or dislocated kneecaps. They may also contract Intervertebral Disk Disease when the cushions against each vertebra touch the spinal cord and cause paralysis. 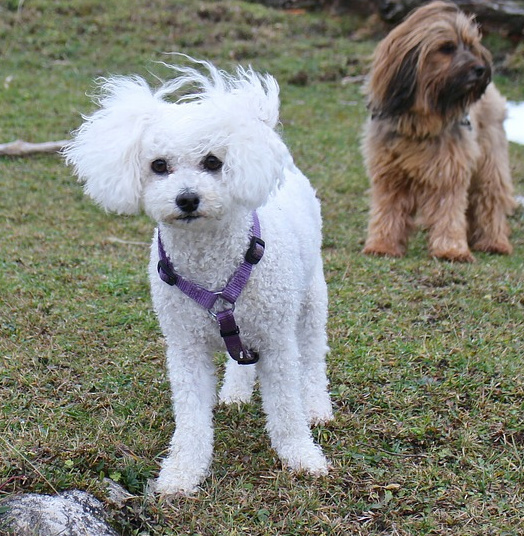 Breeds like Mini Poodles are apt to suffer from Pancreatitis or an inflamed Pancreas. Ectropion causes eyelids to roll outward, often affects small breeds like Shih Tzus. Otherwise known as the “Monkey Terrier,” this toy dog is German in origin. It is closely related to the Griffon Bruxellois and Miniature Schnauzer. Its standout feature is its monkey-like expression. Affenpinscher Looking For a Cuddle! This genteel terrier has fawn, gray, black, or tan hair. It has a shaggy mane that covers its head and shoulders. The hair should be black, according to breed standards. 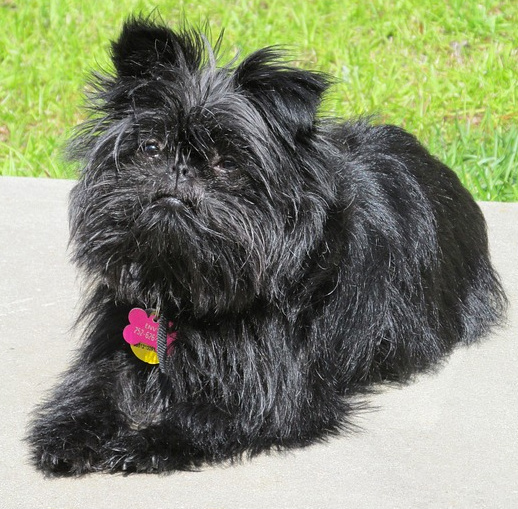 The Affenpinscher inherits its gentle demeanor from its Schnauzer relatives. Though rather stubborn, this dog is adventurous, fun-loving and playful. It is protective of its family members. Its obstinate personality may make it difficult to housebreak, but you can achieve the task with consistent, firm training. Affenpinschers have a lifespan of about 12 years. It is prone to developing hip dysplasia. Though you may have to spend some time building rapport with it, this dog’s gentle, quiet ways make it ideal for living in apartment complexes. You will not have to deal with barking issues. 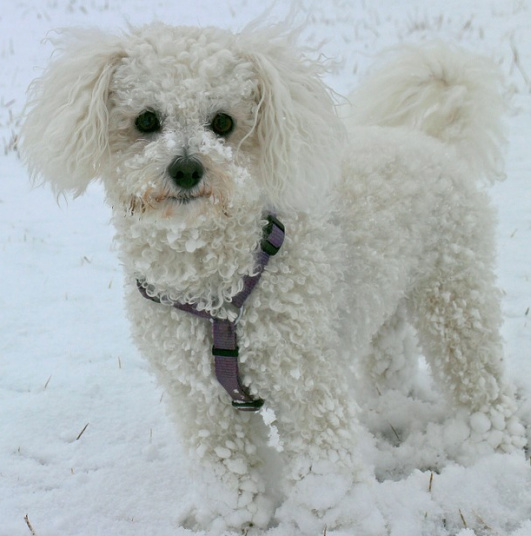 The Bichon Frise, or “curly lap dog” in French, stands out because of its curly white hair. A non-sporting, toy dog, it descends from the Standard Poodle or Barbet. This dog has a round skull and muzzle. Its hair should be white; no other colors are acceptable. This handsome fellow is part of the Bichon group of dogs. The others include the Bichon Maltese, Bichon Bolognaise, and the Bichon Havanese. A breed that originated in the Mediterranean area, it was well-received among Spanish sailors. It also found fans in the French royal court during the Renaissance era. 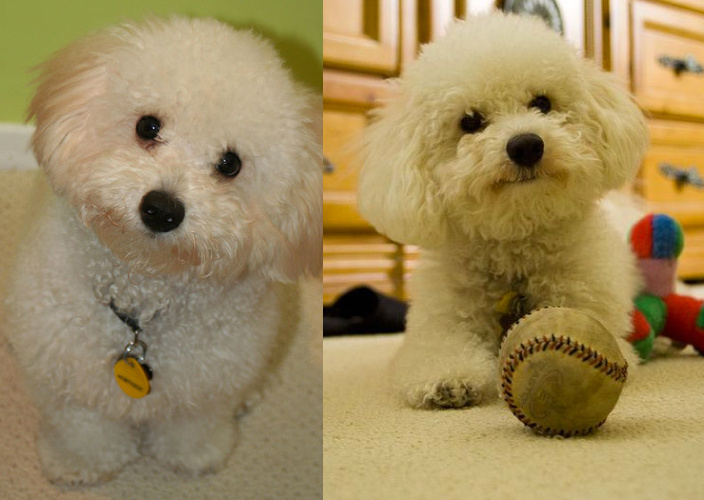 According to the professionals at the American Kennel Club, the Bichon has a cheerful disposition. Affectionate and always looking for fun, it loves its human companions. It is also intelligent and gets along well with everyone in the family. This little dog will adjust well to apartment living because it is well-mannered. It is obedient if trained early. This charming fellow is a relative of the Bichon family. It loves its human companions, so experts consider it to be a family dog. It bonds quickly with its owners. You will know the Bolognese by its outstanding, single white coat. It can help with the filming of a toothpaste commercial because its teeth are so evenly aligned. The dog’s demure, long ears curve over its back. One of its physical quirks is that its top lip does not cover the one at the bottom. It does not shed, but its coat requires regular combing to prevent matting. This dog has a trademark, easy-going nature. It is earnest and willing to please its owners. Smart, it responds fabulously to potty training. The Bolognese has been known to follow its owner wherever he goes. How an owner responds to a person affects the way the dog will treat him. It has keen senses and will quickly notify you if it notices anything amiss. Note that it can be domineering and prone to the Napoleon complex.The Bolognese, being responsive to potty training, is a suitable apartment dog. 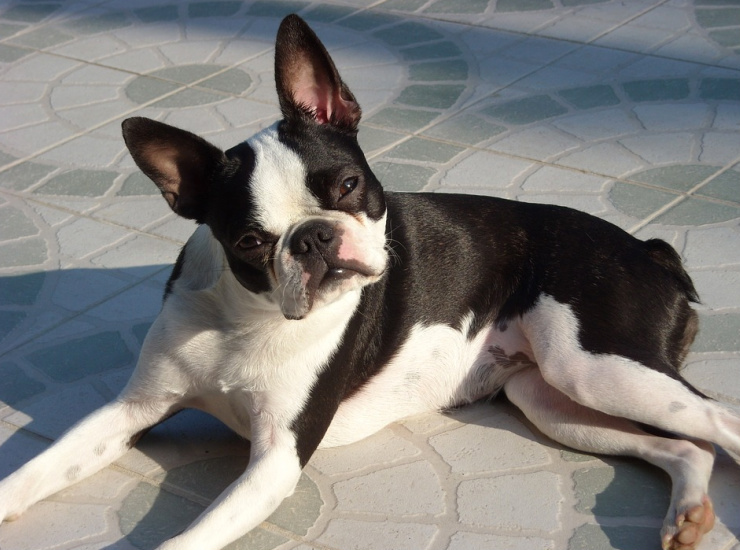 The Boston Terrier has its roots in, of course, Boston, Massachusetts. This non-sporting dog is small, compact, well-proportioned and has ears that stand up delightfully when it is curious. It has a square head and a neck that arches slightly. Its coat has prominent black and white markings. Kennel clubs do not accept other colors as standard. The Boston Terrier is now the 23rd most popular dog breed in the United States, owing to its friendly, happy-go-lucky temperament. These smart fellows are eager to please and easy to train. Formerly bred for fighting, they may show dominant behavior. Note that this dog may suffer from Patella Luxation. Many of them do not thrive in weather that is excessively cold or hot. These brachycephalic dogs have flat faces and short air passages. It may suffer from occasional breathing problems and heat stroke. The Boston Terrier is an ideal apartment dog owing to its sensitive attitude toward barking. It will be a friendly dog and not disturb anyone in your apartment complex. The Brussels Griffon came from Brussels, Belgium. You will know it by its adorable, Viking-like beard and standout beige coat. It is not a common breed, but interest in it grew after the Griffon starred in the movie, As Good As It Gets. It bears a close resemblance to the Belgian Sheepdog. The Brussels Griffon is a descendant of an old dog called the Smousje and came about after owners interbred pugs with Cavalier King Charles Spaniels. Queen Marie’s visit to Belgium sparked further interest in the breed. 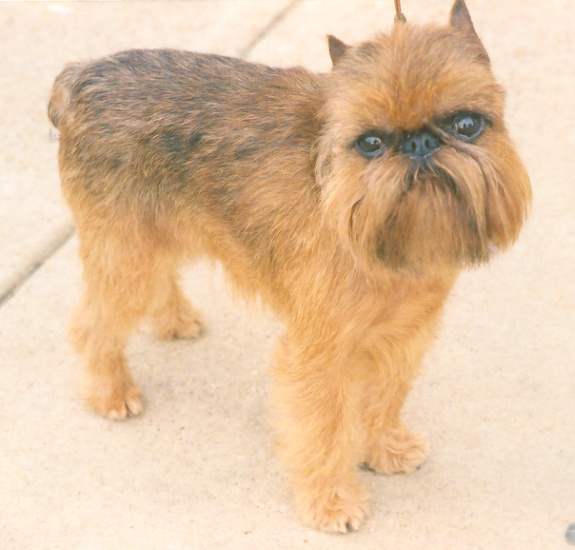 The first Brussels Griffon Club came into being after a showing of a Griffon, Henriette. This dog is one of the most caring on the planet. It will love nothing better than to cuddle up to you. It loves people but beware – it hates being teased. Pulling its tail may start a bark fest. Take pains to socialize it. Note that it has the Napoleon Complex and may try to domineer over other dogs. The Griffon is obedient to its master and will respond to instructions. It is the perfect dog to train for apartment living. The Cavalier King Charles Spaniel is a well-received dog breed in many countries. Americans love this floppy-eared dog so much that it is the 18th most popular breed in their country. Come on give this cutie a treat! This dog is the smallest member of the spaniel family. It should have a mid-length, silky coat. It is closely related to the English Toy Spaniel, known as King Charles. You may confuse the two breeds. Its muzzle is longer than its English relative’s, and it has a flatter skull. This dog, according to standards set by the American Kennel Club, can be in any of four recognized colors. Experts would call it the Blenheim Spaniel if it has Chestnut markings. They do so in honor of Blenheim Palace, where John Churchill, the 1st Duke of Malborough, raised its ancestors. Its coat may be in tan, black or ruby. 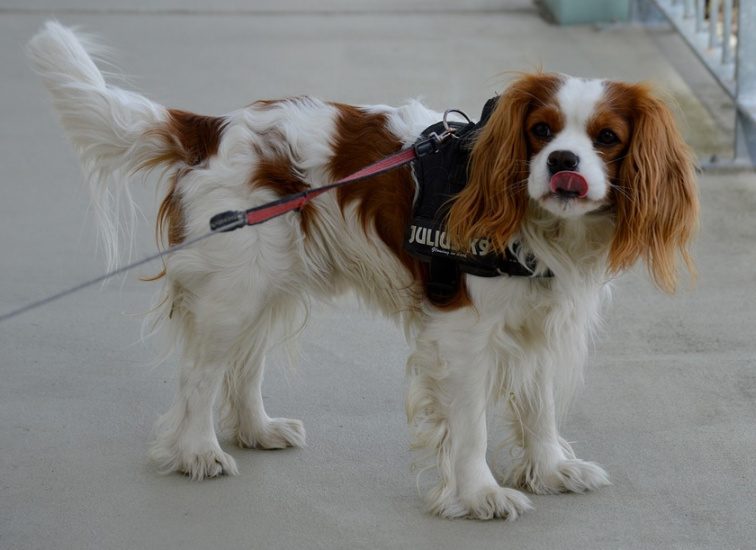 The Cavalier is an active, loving dog which bonds well with people and other pets. It will thrive in your apartment because you do not have to exercise it all the time. A laid-back fellow, it will be comfortable either taking long walks or sleeping on your couch. With its roots in the state of Chihuahua, Mexico, this little dog is as hot and saucy as the Mexican food you love. It comes in many sizes and coat lengths. While it is certain that the breed originated in Mexico, its history is baffling. There are many theories about how this peppery fellow came to be. It is most likely the descendant of the Tenchichi, a dog favored by the Toltec tribe. 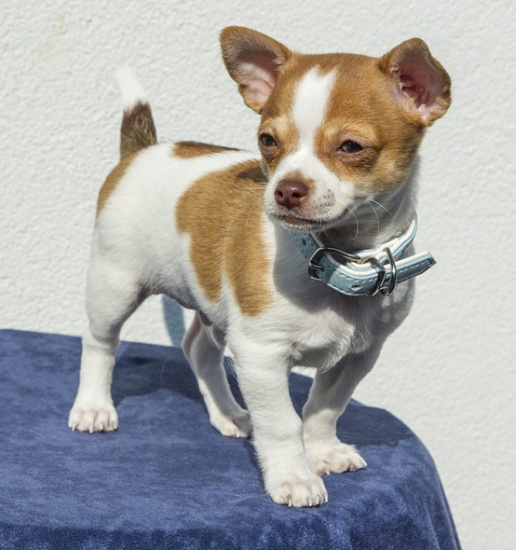 There are two main variations of the Chihuahua, which can be short-haired or long-haired. It can have an apple-shaped or deer-shaped head. Its coat could be in any combination of red, black, tan, chocolate brown, white or black. Do not trifle with this spicy taco. Small as it is, it will attack when provoked. It has the strongest Napoleon Complex of all the little dogs. It loves its den. You will find it in its bed most of the time. Its small size, of course, makes it ideal for living in shoebox-sized apartments. This little fellow stands out because of his hair, or lack of it. He is either of the Powder Puff (with hair) or completely hairless variety. You can spot it because of its bare feet as well. Modern Chinese Crested dogs, contrary to what you may believe, did not originate in China. They have their roots in Africa, where people called them African Hairless Terriers. The amount of hair on the Hairless Chinese Crested may vary. Like his Powder Puff cousin, he is small. Unlike his Powder Puff relative, he has hair only on his paws and tail. The Powder Puff Chinese Crested has a soft coat. Because of its versatility, an owner can groom it in almost any style. 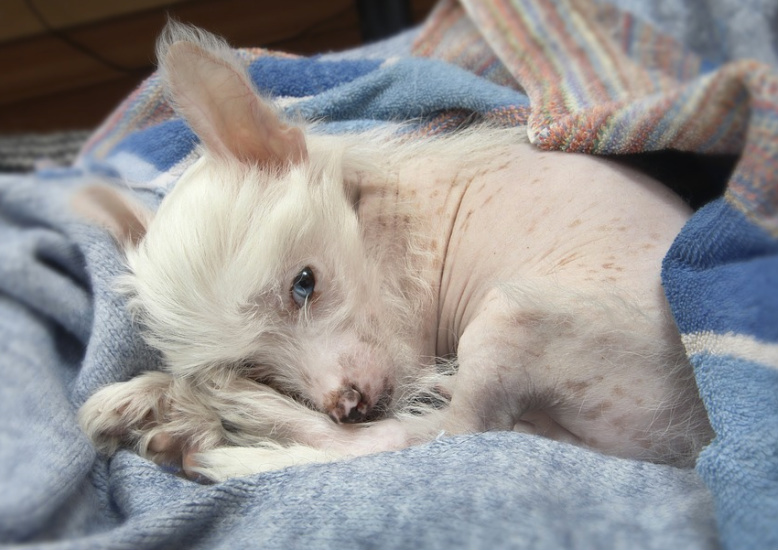 You would need to maintain the skin of the Chinese Crested the same way you would yours. Like you, it is prone to acne and sunburn. Moisturizers can keep these problems at bay. The Crested is also prone to eye problems like lens luxation and glaucoma. The Crested. with a sweet, cheerful nature, will adapt well to apartment living. This little clown comes from Tulear, a city in the African nation of Madagascar. It has a trademark long, white coat. The Tulear can declare itself a “Pirate of the Carribean.” Pirates used them to control rats on their ships, and probably brought them to Madagascar in the early 17th century. It is still the country’s national dog. Its cotton coat can be a challenge to groom. Because it is hypoallergenic, it does not have the “doggie smell” that its canine counterparts do. The breed, according to the American Kennel Club, should be pure white. However, they recognize black and white or tri-colored Tulears. 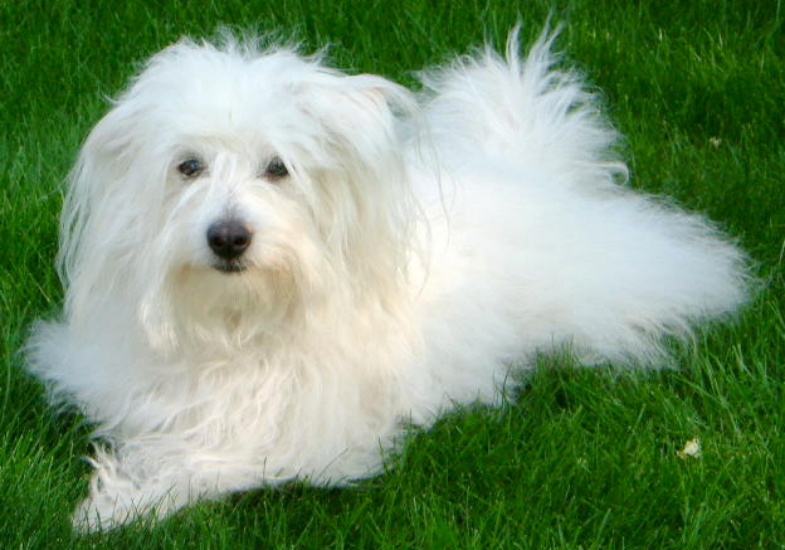 Note that the Tulear is a lively dog that requires routine exercise. It is an expert swimmer and may frolic at beaches with supervision. It is not particularly prone to health problems but may experience occasional discomfort in its back. If not looked after, it may suffer from eye disorders as well. The Tulear, with its fun personality, will enliven your apartment. This little dog, which you can keep in close quarters, will suit your needs if you are prone to allergies. The Dachshund is the classic “sausage dog.” You will spot it immediately because it looks like one. With its pointed nose, long body, and cute, stubby legs, it is unmistakable. Dachshunds have either long, short or wire-haired coats. They come in a variety of colors. Some Dachshunds are dappled. This dog has German origins. “Dachshund,” in German, does not mean “sausage,” but “Badger Hound.” Owners used it to retrieve badgers and rabbits from burrows, and it is famous for its keen sense of smell. Dachshunds are playful but stubborn. Note their propensity for chasing small animals, so you may want to keep your hamsters or rabbits out of their sight. It is a burrower and loves its den. The Dachshund can be a handful. It is courageous, sometimes to the point of being rash. This dog will protect its owner and will bark at unfamiliar people. 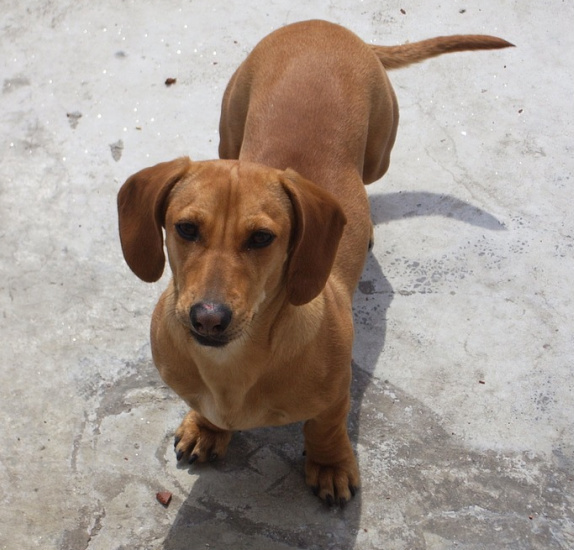 The Dachshund is a good fit for your apartment, but note that it may bark frantically at strangers. You will have to spend time housebreaking it and training it to stay quiet when necessary.